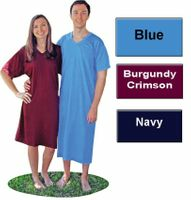 1 - nightshirt/s $29.95 ea. 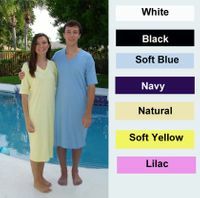 2 - nightshirt/s $27.95 ea. Wittmann Textiles Company Original Crew Neck TEE-PJ™ 100% Cotton Nightshirts - a Better Way to Sleep since 1955 - are made with premium combed ring-spun 100% cotton knit in the USA by Union Labor. Our founder, Max Wittmann, designed this nightshirt as an ideal longer T-shirt for sleeping without side seams and made from super soft combed cotton - something he thought of while serving in WWII and sleeping in old T-shirts. As our customers will tell you, once you sleep in a Tee-PJ™ it will become your new favorite way to sleep! 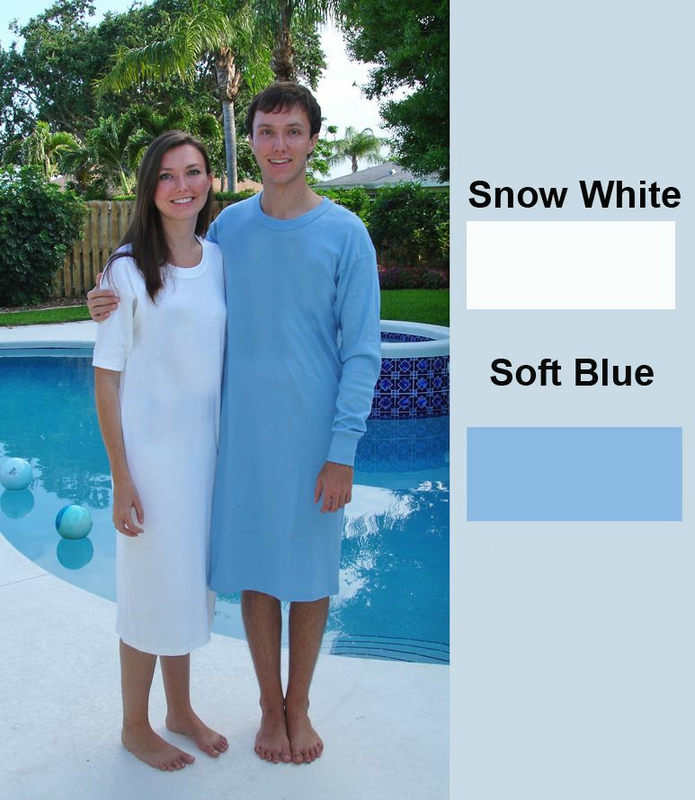 Tee-PJ™ nightshirts are (unisex and sized differently for men and women), made with a special premium knit that moves when you move for the ultimate in sleeping and lounging comfort. For superior comfort and fit choose at least one size larger than you would wear in a t-shirt - circular knit sizing instead of t-shirt sizing. The 3XL sizes is $2 more per nightshirt. Color or bleach effects the thickness of the fabric - White will be the lightest weight due to the bleaching process and soft blue will be slightly heavier with the dye process. Quality made in the USA since 1955 - buy now to take advantage of our everyday quantity discounts. Size small with short sleeves is available in blue or white, size small with long sleeves in available in blue only. IMPORTANT Pricing Note: The Long Sleeve Style is $4 more per nightshirt and the 3XL is $2 more are $4 each per nightshirt. So, the long sleeve in 3XL is $6 more or 3XL is $8 more per nightshirt. Please note - the long sleeve has a cuff at the bottom of the sleeve. 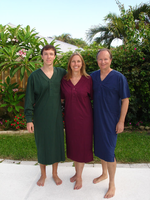 Testimonial: My husband loves your nightshirts. He's been sleeping in them for years. They are well made, hold up to wash and wear. We keep reordering. Thanks. For a Perfect fit - Go by the chart above and then compare with what you would choose in a generously sized t-shirt and then go up one size larger and that size should match the chart above. Quality made in the USA - buy now to take advantage of our everyday quantity discounts.